Why So Many Bad Installations? 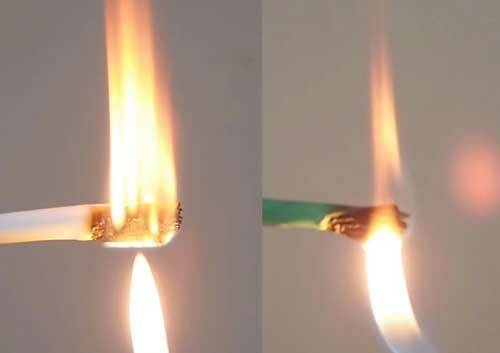 Has Copper Ended Its Usefulness? 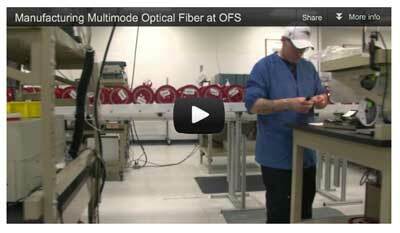 You are invited to join FOA at the Tellabs Optical Enterprise Workshop. This event will be held on Thursday January 16th, 2014 at the Omni Hotel in Los Angeles. During this half-day workshop you will have the opportunity to meet with experts from the industry, Tellabs executives, FOA and technical staff who will be discussing Optical LAN deployment and Campus Transport network design considerations. We will be discussing strategies for designing future proof networks, Tellabs 10G PON, key features of their newly released products, and showcasing the world’s smallest optical network terminal (ONT), Tellabs Mini ONT. Did you notice that - 10G PON?! This could be very interesting! 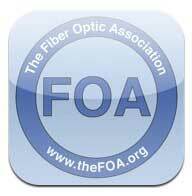 FOA will talk about the history and development of Optical LANs. Hear how enterprises and government agencies seek innovative ways to lower IT costs, and why they’re choosing Optical LANs to deliver voice, data and video to workplaces. If you have any questions regarding the event or need any assistance please send an email to matthew.hassett@tellabs.com. That's Thursday, January 16 at the Omni Hotel, downtown Los Angeles. Is It Time To Expand Apprenticeship Programs? Since 2008, the number of apprentices has fallen by nearly 40 percent, according to the Center for American Progress study. A NY Times article focused on the new program in South Carolina that is benefiting companies like Tognum and BMW from Germany where apprenticeships are a way of life. "But experts in government and academia, along with those inside companies like BMW, which has its only American factory in South Carolina, say apprenticeships are a desperately needed option for younger workers who want decent-paying jobs, or increasingly, any job at all. And without more programs like the one at Tognum, they maintain, the nascent recovery in American manufacturing will run out of steam for lack of qualified workers. Read the report from the NY Times. "The society which scorns excellence in plumbing as a humble activity and tolerates shoddiness in philosophy because it is an exalted activity will have neither good plumbing nor good philosophy; neither its pipes nor its theories will hold water." Why So Many Bad Installations? Is It Bad Training Or None At All? After we posted the horrible-looking connectors from another installation in last month's FOA Newsletter, we got several more "horror stories" about bad installations. One of our FOA Certified Instructors sent us videos from a troubleshooting expedition in a building. He was leaving to fix another problem at an installation in an elevator shaft installed a month ago where some one tore out the fiber not knowing what it was. 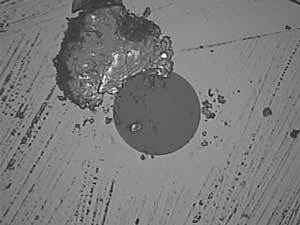 Another of our FOA Certified Instructors sent us these micro-photographs of several connectors from an installation at one of his customers. 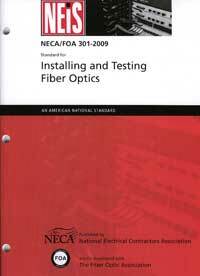 The "technician" that was hired as a contractor to do the installation was "certified" in fiber optics - NOT by FOA! He took 3 days to install 36 connectors. He provided no test data on the connectors. These are what he left as finished fiber optic connectors. After discovering the problem, the user came to an FOA CFOT class and learned how to do the work themselves. They replaced all the connectors in the photos above and a lot more. No trained and certified tech should do poor work like this! But we know there are "training" organizations in the field today that offer one day courses with certification and others that never teach hands-on skills. One certification organization appears to have no requirement for "hands-on" training. 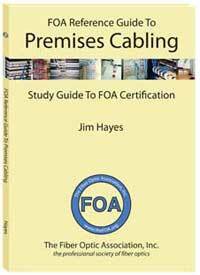 Nobody but the FOA certifies instructors. All this only leads to problems for the poorly-trained person and their customers and creates a bad image for the industry. 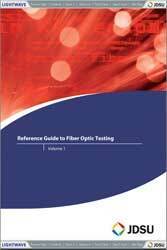 Too many times, we hear from FOA approved schools that they have had to re-train people who attended other fiber optic training courses. 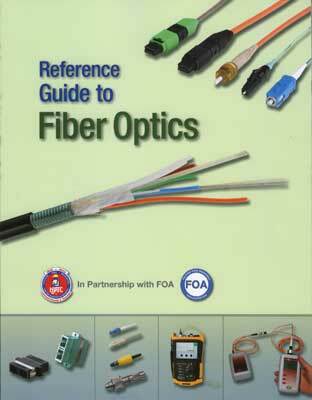 FOA was chartered in 1995 to promote professionalism in fiber optics through education, certification and standards. We are a non-profit education organization. 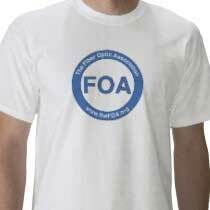 FOA is not a school - it does not train students - instead we have over 200 approved schools worldwide that train and certify students. 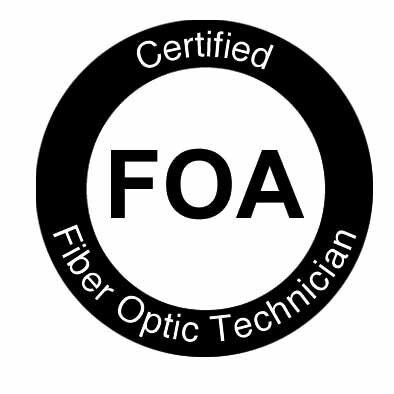 We do train and certify all FOA instructors - the only fiber optic organization that does that - so we can ensure the quality of our instructors. We do set standards for training - our KSAs (knowledge, skills and abilities) define what a student must know and skills they must demonstrate to their instructor in order to be certified. 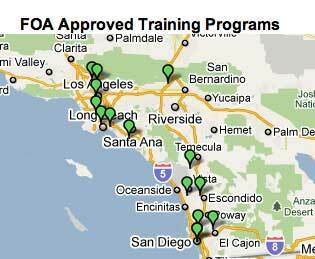 FOA certifications are recognized by many organizations like the US Department of Labor. 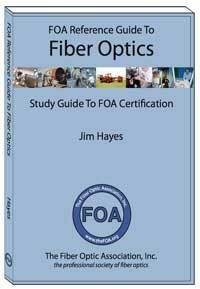 If you are considering hiring a fiber optic tech or contracting with an installer, ask them about their training and certifications as well as customers as references. Of course we recommend you ask for CFOT Certification. 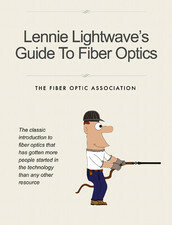 How long has the organization been teaching fiber optics? How long is the class? Days/hours? Is the instructor certified as an instructor? By whom? How much time is spent on hands-on training? What kinds? Is it useful to you? Which certifications does the training organization offer? Are those certifications accepted by national organizations like the US Department of Labor. Always ask for references from past students. The NY Times reports that NSA was able to eavesdrop on the communications of Google and Yahoo without getting near their highly secure data centers. The Times reports that NSA simply tapped fiber carrying data to/from the data centers - we know how easy that is, don't we? - and when it was first done, the data was not even encrypted - but now it is! See more from Bangkok here. Often standards are not free. Groups like TIA develop standards but charge what seems like very high prices for them. 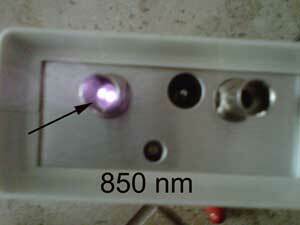 For example, a set of TIA 568 standards can cost as much as $2000. Groups like TIA charge for standards because it costs money to have technical meetings to develop them and the participants are unwilling to underwrite all the costs themselves. 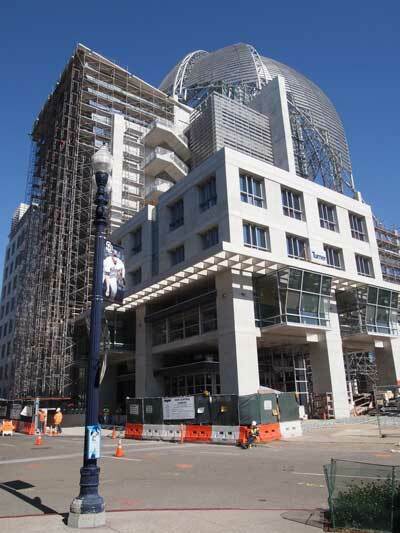 However, many standards get incorporated into government documents and are required therefore to be made freely available to bidders or contractors. A big debate has been raging for years whether that meant they should be easy to get but paid for or available at no cost. 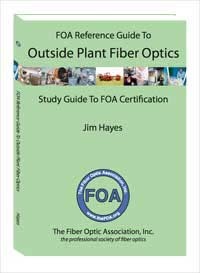 When the US government asked for comments on this topic, FOA responded saying that standards to be relevant should be available to all at no cost. In March 2012, Public.Resource.Org began publishing, for free online, standards that have been incorporated by reference into U.S. regulation. These were posted regardless of copyright, and there are over 1,000 to date. In 2012 and 2013, a number of standards developers acted to enforce their copyright. Some sent cease-and-desist letters to Public.Resource.Org, and some (remember this is America where we have more lawyers than engineers) have filed lawsuits. ANSI (the American National Standards Institute) has been vocal in examining these issues and has been a major factor in developing a solution. 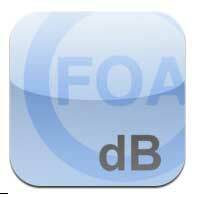 Ansi developed the ANSI IBR Portal. This new site provides free online access to read-only versions of voluntary consensus standards that have been IBR-ed into U.S. federal laws and regulations. 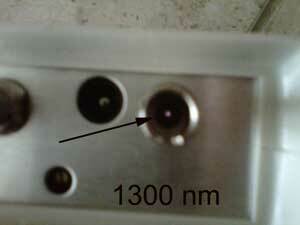 Unfortunately, TIA does not yet seem to be included, but many ISO/IEC and UL standards are. The ANSI IBR Portal is worth exploring. Read their announcement here. 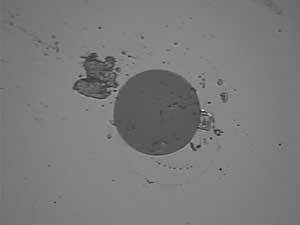 TIA TSB-4979 is entitled "Practical Considerations For Implementation Of Encircled Flux Launch Conditions In The Field." It says nothing but "buy a new source with EF output or a commercial mode conditioner," so manufacturers of these products can now reference this standard in their sales pitches. It says nothing about how mode conditioning has been done for decades, e.g. the "mandrel wrap" method, in spite of the fact that IEC has recommended that option in another standard (IEC document 61282-11) and TIA work on HOML (higher order mode loss, see "Progress On Mode Conditioning For MM Fiber Testing" in the FOA October 2013 Newsletter) indicates a mandrel provides appropriate conditioning. And if you want to read an objective post mortem on the Australian NBN project, read this from IEEE Spectrum Magazine. G.fast - The Latest xDSL "Hype"
"G.fast capitalizes on existing copper to deliver fibre speeds at lower costs." From Teldac.
" ITU membership has reached first-stage approval of G.fast, the new ITU broadband standard capable of achieving access speeds of up to 1 Gbit/s over existing telephone wires. Within 250-metre range of a distribution point, G.fast’s fibre-like speeds..."
G.fast does not offer "fiber speeds." We've heard this claim probably 4,321 times in the last 30 years! 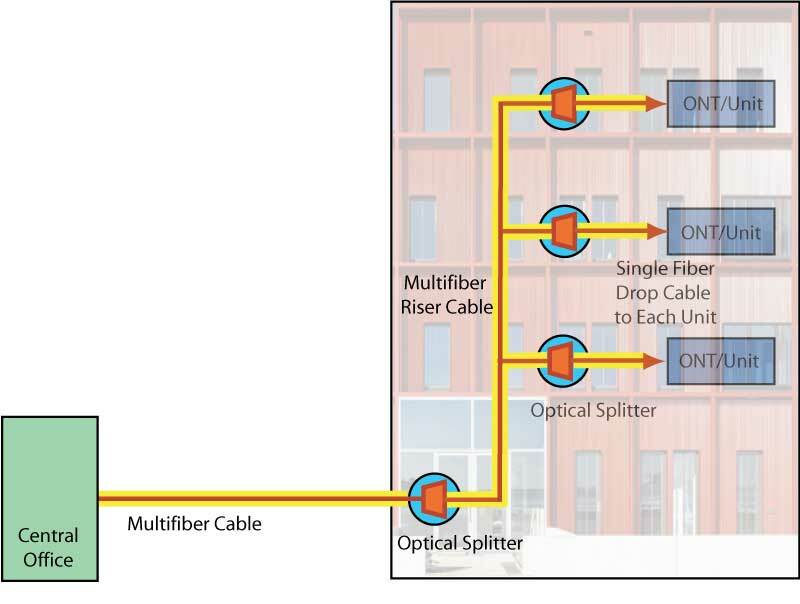 This next gen version of digital over copper struggles to get to 250m on "clean" copper while fiber loafs along at these speeds and is only limited in upgrades by the demand of the customer. When you tell us G.Fast gives you the possibility of 100G-1Tb/s over many km of copper, we'll consider claims of "fibre speeds." Has Copper Ended It's Usefulness? If you read some of the news, you might think so. Major newspapers in the US and elsewhere have been running articles asking "Is the end of the landline near?" After hurricane Sandy in the NE US last year, several phone companies tried to avoid rebuilding landlines because of the cost and offered cellular wireless service instead. Here at FOA, AT&T offered that option one week, with hardware that connected our wired phones in the office to cellular service. The next week they offered to upgrade us to U-verse DSL. 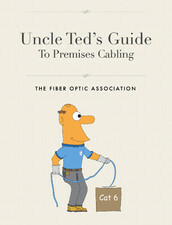 Verizon, as we reported in the October 2013 FOA News, is offering their FiOS FTTH service free to people who still use copper landlines because it reduces their maintenance costs. Updating older copper to DSL at least makes it easier to keep the landline system going, but still at a high cost. Switching to wireless is another option, but then you lose your phone that always works in power outages because it is powered by the line itself. At least it works until the batteries at the central office or local switch run down. For areas of the world that were never wired for landlines, cellular is a way of life, as it is for most of the younger generation everywhere. But the real problem is OTT Television - OTT means "over the top" - downloaded IPTV from your Internet connection that bypasses CATV or Satellite TV or even broadcast TV. OTT TV requires fast connections to be useful. FTTH can handle OTT, some DSL versions can handle it, some cable modems on HFC (hybrid fiber-coax) CATV systems can handle it, but most other systems are simply incapable of handling the massive amount of IPTV traffic that consumers now expect. Continuing using older landlines will not happen if OTT IPTV continues to grow, and it seems that is a foregone conclusion. The upgrade to FTTH is inevitable, it seems, so consumers can have their mobile smartphones outside the home and sufficient bandwidth in the home supplied by FTTH. The issue, as always, is cost. Competition trumps cost as has been shown in Austin, TX, where the arrival of Gb Google Fiber prompted AT&T to say we can do that too. Even Verizon has responded to Google by promising near Gb speeds in the entire FiOS area. But many other areas of the US and the world have a long way to go to get those kinds of service. The concise history of the American phone system, and maybe an epitaph for the landline, from the Washington Post. And more on the demise of the landline from US National Public Radio. Marketplace on NPR, talking about landline phones: "The world's biggest copper mine lies under our feet." With OLANs, FOA has worked with leaders in the field to create technical materials on our FOA Guide website and YouTube channel already. We now have a curriculum ready our FOA-Approved schools which will make OLAN training available for those interested. Read More.